It's a woksheet that I created to introduce the vocabulary related to countries and nationalities to my students. It has speaking activities and two pages. The present downloadable printable is meant for high school students and elementary school students at Beginner (pre-A1) and Elementary (A1) level. 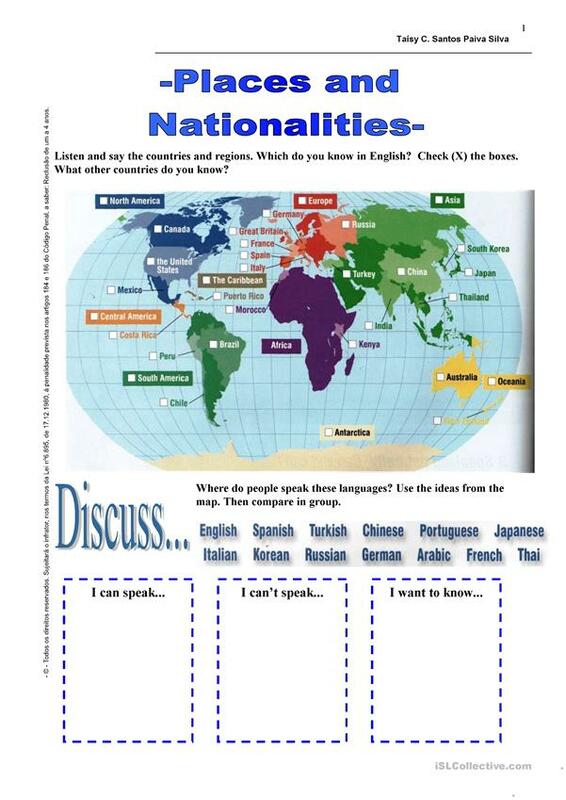 It is a valuable material for honing your class' Speaking and Reading skills. It is about the theme of Countries.